Servicing wheel bearings is a bit like making chili. 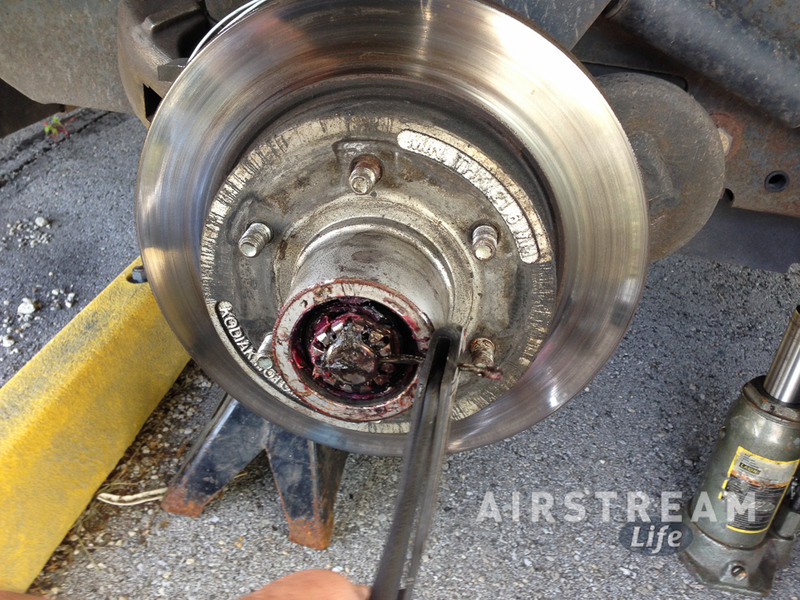 Airstreamers are very fussy about the “correct” recipe for cleaning, inspecting, packing, and tightening their wheel bearings. I hope you used the correct grease, put the correct amount in the hub space between the bearings, used a new double lip grease seal, got the castle nut tightened and then loosened the right amount. And if you had old fashioned drum breaks with manual adjustment, got the brake drag set just right. Heaven forbid if you didn’t install the right brand of new bearings. Trailer wheel bearing maintenance is important as you point out. I do chuckle a bit reading about all the “mother knows best” recipes there are for doing this maintenance procedure. Super Terry knows what he is doing.